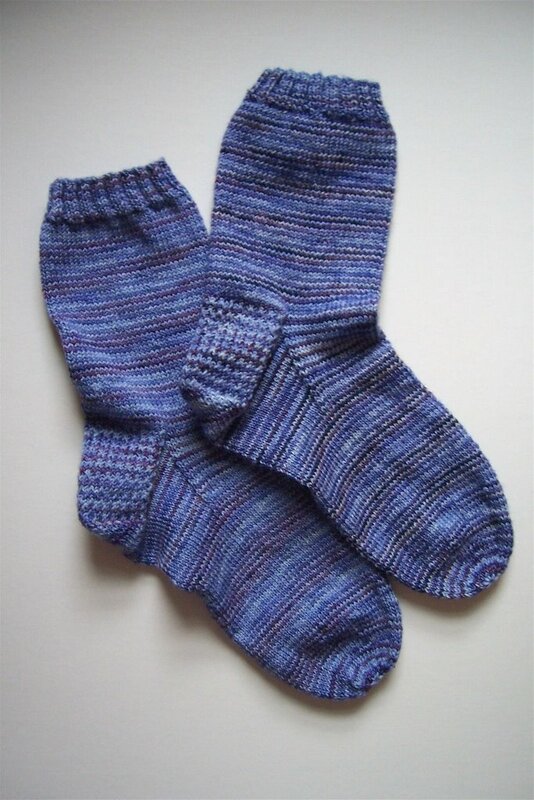 I just finished my Petals Collection Hydrangea socks — really, just a few minutes ago. I had to take a picture, even though this has got to be one of the dreariest afternoons in a long time, and the socks haven’t even been blocked yet. They’re a little rumpled. 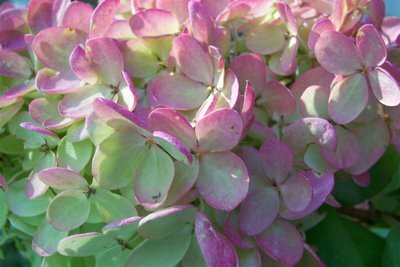 I thought I’d add these pictures of the hydrangea bush that’s in my yard, just to make things a little brighter. I took them on Sunday, when it was sunny. I like the way the colors are fading at the end of the season. Anyway, I love these socks! I love everything about knitting with Sundara’s yarn. The soft stripes were a surprise and a treat. The yarn, as always, is soft and luxurious. The colors are stunning, even in the poor light. Next up: Rhinebeck! It’s almost time! The Magnificent R’s are excited, Judy and I are excited, and we’ve got one week to channel all that enthusiasm into getting ready for our road trip. We decided to skip Stitchy’s Blogger Bingo, since we’ll have enough to do just keeping track of each other. We’ll make frequent stops at the Spirit Trail booth, though, to visit Jen and Martha and Shelia, and to meet up with any other KR folks who happen by. On my Wish List: Sock yarn for my friend K (there’s a rumor that Brooks Farm will have some this year). More Blue Moon fiber from The Fold for me (that cashmere/tussah blend is what I’m really after, but I’ll take whatever). Spinning and knitting do-dads, the kind of things you happen upon as you’re making your way along the row of booths. That’s it — so far. We’re leaving right after school gets out next Friday and staying till Sunday afternoon. This time they’re coming to pick me up. We’ll get some dinner, and check into the cute little motel in Hyde Park, the one we’ve passed every year and said “We’ll have to stay there next year.” We’ll have a blast! I think I have enough going on to occupy my last few brain cells. Besides work (yes, I have to do that, too), I’m on to knitting another pair of socks, continuing a red scarf (I promise, Norma, this one will be long enough!) (I said I’d read the guidelines, but did I follow them? That would have made sense. ), and working on a Dulaan hat idea. And “Lost” is on tonight. And “Project Runway,” too. I’d better get going! Oh, pretty socks! I have subscribed to Sundara’s Petal Collection, I think my first shipment comes in December… I can’t wait! I’m coming to Rhinebeck and reading people’s blogs to get an idea of what hot spots to hit! I’ve also decided to skip the Bingo, it’ll be enough to deal with yarn and my family. There is a meet scheduled as well, I have to look up the details but I’ve been over-scheduled this month so I probably won’t even think about Rhinebeck until that Friday! I just can’t wait to touch all of that yarn! Nice socks! I like those stripes. Rhinebeck sounds like it’s going to be a lot of fun. I love Sundara’s yarn colorways. 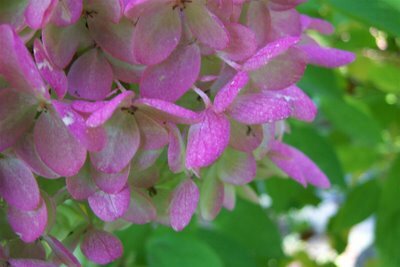 Your socks are beautiful – I have a hyndranga here that is exactly those colors.have a blast in Rhinebeck. Gorgeous socks!! Have fun at Rhinebeck – looking forward to your report. Will I get to meet me some Not Plain Jane at Rhinebeck? I hope so! :)love your socks! Jane, you are the Queen of Socks. Aren’t you excited for the next Petals Collection installment! ?